Here is a list of top 10 sites like Pinterest for bloggers to share blog posts and drive traffic to their blog in 2019. If you are interested in knowing Pinterest like sites, you will love this list. All websites are similar to Pinterest and offer amazing features like allow creating boards, sharing interesting stuff and exploring interesting content. 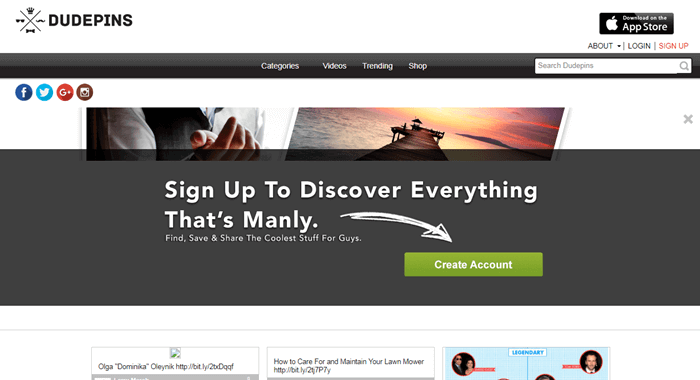 Whenever there are talks about the best sites like Pinterest on the Internet, Juxtapost is considered to be the best. 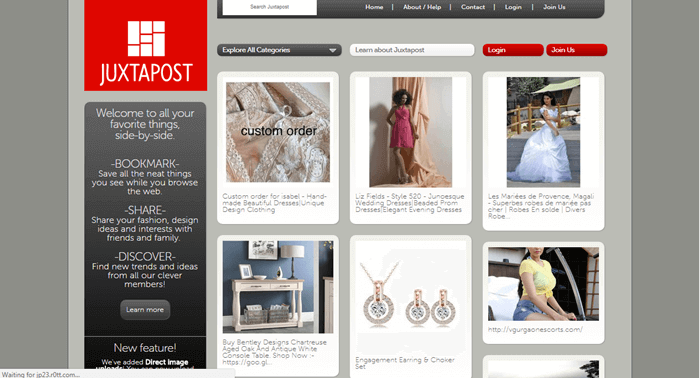 Juxtapost holds an uncanny resemblance with Pinterest in terms of Interface and features! If you love Pinterest for sharing your favorite contents, discovering interesting posts and bookmarking it for the future recommendations, you will truly love Juxtapost as it offers almost the similar features. There are lots of categories on Juxtapost which you explore to find your favorite contents, and if you find any thing interesting which you would like to re-read in the future, you can save it on your private boards, share and promote your own contents, drops comments on what others have posted and so on. 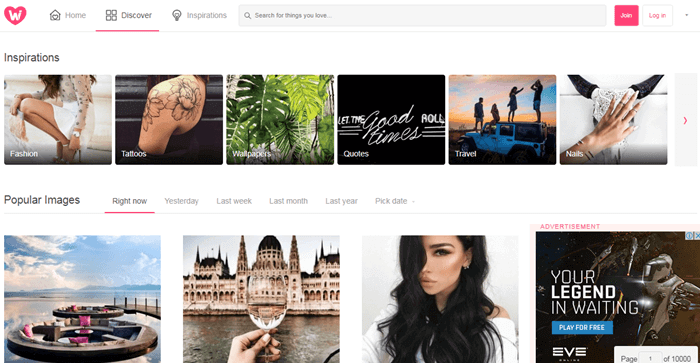 Besides that, there are some other features which make Juxtapost one of the best contenders to Pinterest is the options for instant sharing, preview zoom, Private boards, the ability to export your favorite contents saved on your board and more. Apart from this, the feature which I like the most on the Juxtapost is the collaboration. If you want to work on a single project along with a group of your friends or colleagues, you can easily do that by using the post board collaboration tool! If you are a man, there is no point surfing a website which is full of feminine contents and doesn’t add value to you! If you are ditching Pinterest because it doesn’t append the value to you and you are looking for something that is more of the ‘Manly’ contents, Dudepins is certainly the one for you! The posts on Dudepins are very well categorized in different sections making it extremely easy to browse through your favorite contents and discover the most valuable contents that interest you. Apart from Categories, there are two more options in the main menu i.e. Video and Trending which help you discover popular video contents and trending topics respectively. So in short, we can call Dudepins a website like Pinterest that’s entirely man’s oriented. We heart it is the next Pinterest like site which is considered as one of its popular alternatives. We heart it, is a website that particularly encourages youth to express, share and spread the love with the love and heart pictures all over. Apart from this, ‘we heart it’ is a youth-oriented websites so anything you will discover here is going to be classy and trendy, which is currently in fashion. So if you are looking for your fashion, beauty, photography or any other creativity Inspiration, We Heart it is going to be your ultimate destination. Besides discovering photos on WHI, you can also share your owns, if you have any. To get started, you need to sign up on We Heart it which is completely free. After that, you can follow your favorite brands and people on We Heart It and vice versa. Various brands and big/small businesses, utilize We heart it to promote their beauty and fashion products as mostly young people, mostly young woman are actively available there. However, there is no comment or dislike button on the photos shared but you can ‘Heart’ them if you loved something and would like to bookmark it for future reference. As the ‘We Heart it’ is specially dedicated to fashion lovers, FoodGawker is more of a Food Corner for food Lovers. FoodGawler is a must check a community for food bloggers or those who love trying out the different recipes. FoodGawker is a very well organized website where delicious recipes from different categories are organized into different sections making it easy for the users to discover their favorite contents. Food bloggers from around the world submit their food recipes to FoodGawker and their team of editors reviews the content before making it live on the Website to make sure the high quality of contents! So if you want to get started with FoodGawkers make sure the images and recipes you post on Foodgawker are of high quality. Besides that, as a user, if you love other user’s recipes on the FoodGawker, you can give it a heart and save it for future reference. So FoodGawker is indeed one of the sites like Pinterest that’s entirely dedicated to food lovers! If you are a food blogger, you might be interested in checking Food Blog WordPress Themes For Recipe Cooking Bloggers. With a slightly different concept to Pinterest, Pearltrees is yet another alternative to Pinterest. Like Pinterest and other mentioned sites like Pinterest, Pearltress also lets you discover interesting contents, bookmark it for the future recommendation and share your ideas to the world. Unlike Pinterest, Pearltrees makes use of the terms pearls & trees in place of pins and boards of Pinterest and allow users to follow their favorite trees, pearl their favorite contents to the trees and follow overall similar but a slightly different concept to Pinterest. Pearltrees is available as a web version, chrome and firefox extensions along with the Android and IOS apps. One thing, where Pearltrees falls apart is the pricing. Pearltrees is partially free. It means to have access to the full features i.e. offline mode, more customization options, more storage and ads-free contents, you need to pay around $2.99/month which is reasonable but most of the mentioned sites like Pinterest offer their services for free! 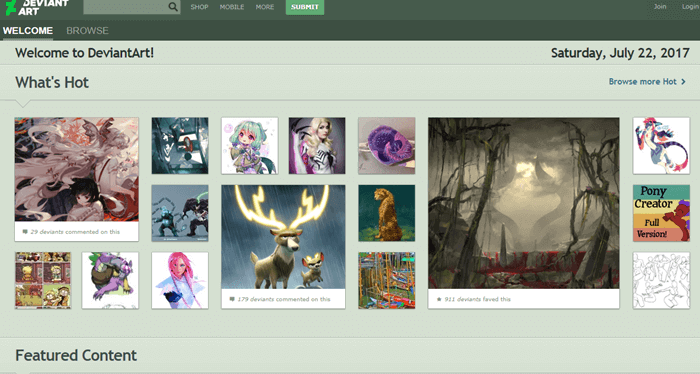 WIth over 38 million registered members and 65 million unique visitors per month, DeviantArt is the biggest community of art lovers and art enthusiasts. Deviant Art has been considered as one of the sites like Pinterest as it also lets artists connect to each other, share and promote their contents, discuss ideas and shows similarity in the overall Pinterest interface. As per the claim by Deviant Art, around 160,000 original art works are uploaded on DeviantArt every day making it one of the frequently updated social media network of artists. So overall it’s truly one of the sites like Pinterest and a great alternative to it which is solely and entirely based on Artists across the globe! When you will visit Fancy, you will immediately realize that it’s more of an eCommerce website where we can browse and shop various fancy items for man, woman, and kids related to fashion, beauty etc. Now you might wonder that why we have mentioned Fancy in our top 10 list of sites like Pinterest, isn’t it? Fancy is considered to be one of the Pinterest-like websites because of its similarity in interface and work style to Pinterest. Fancy lets you discover and buy your favorite products right on the website, build up a community of fashion enthusiasts, follow and get followed by the like minded people and share your thoughts on the product along with sharing your favorite products with others and so forth. 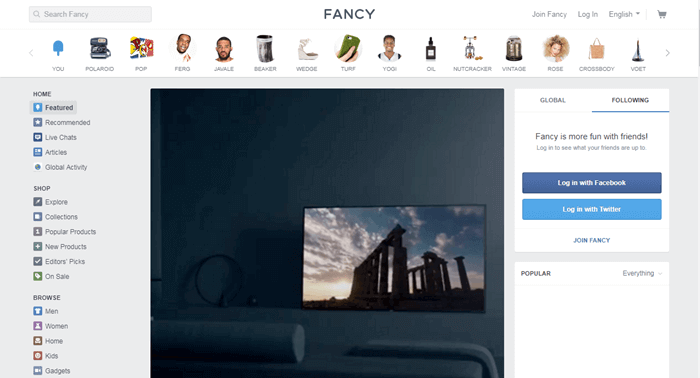 Besides that, Fancy earns you credit if you share any product from fancy with your friends and make them buy it from Fancy! So far we have discussed several sites like Pinterest that belongs to people of different genres Including the man, woman, youngsters, food lovers etc. 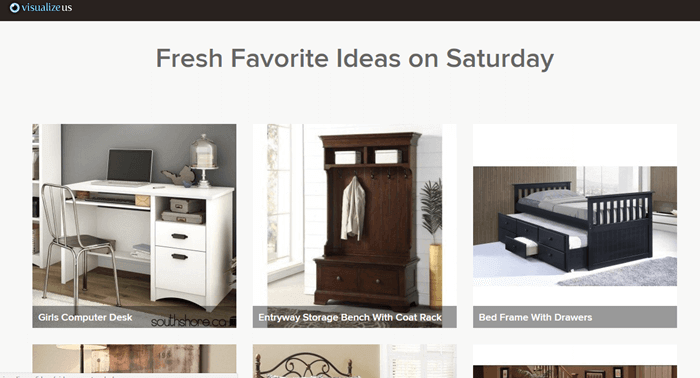 Now let me tell you an alternative to Pinterest that solely belongs to the home makers and decorators. Hometalk perhaps is the best place to find ideas about everything Housing. Here, you can find numerous DIY home projects for your home and use them creatively to decorate your house to make it look great! 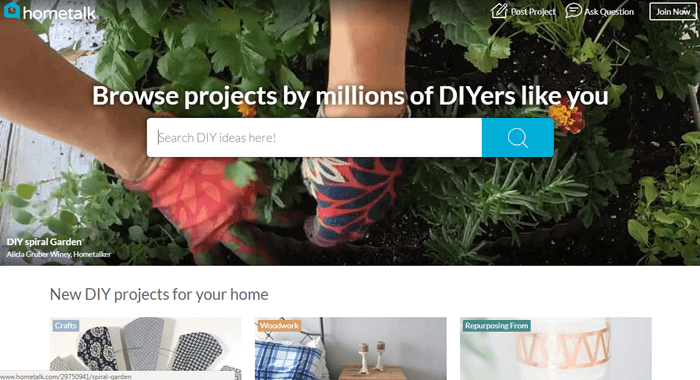 In addition to browsing through and discovering DIY project ideas submitted by other users, you can also submit your own by signing up on Hometalk and be one of the members of the hometalk community. Besides home decor thing, there are various other topics like gardening, kitchen design, doors, floors etc that are discussed on Hometalk. Hometalk has an awesome community of millions of users which gets you answers to all queries asked on Hometalk! 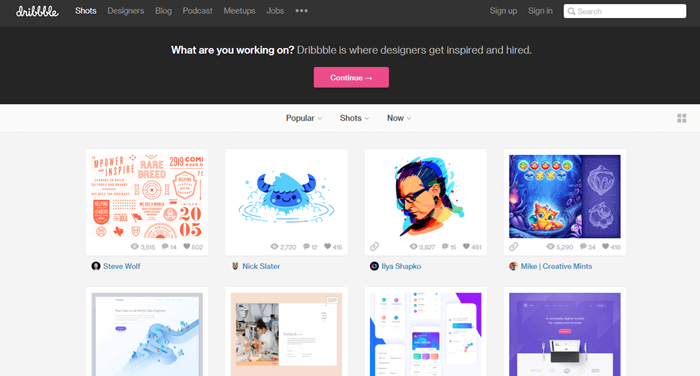 Since its launch in 2009, Dribbble has been a prominent alternative to Pinterest dedicated to Designers. Dribbble has a very active community of users which frequently posts there interesting contents related to web designing, graphic etc, follow other community member’s creations, discuss their ideas and makes Dribbble one of the best and a must visit place for designers. Web designers, graphic designers, illustrators, icon artists, typographers, logo designers, and other artists leverage Dribble for showcasing their talent to the world and even get hired for their skills. Besides, Dribble also is a place for small business and firms to haunt for the designers in the different work field. And if we talk about the interface, Dribbble has a very much Pinterest-like interface. The Homepage is divided into the various boxes, that are actually the design screenshots posted by users, which can be browsers through, shared, commented on and can be saved for future. The last website in the list of sites like Pinterest which certainly needs to be mentioned is the VisualizeUs. Having somewhat similar interface to the Pinterest, it’s yet another photos sharing platform which lets you bookmark and saves any photos across the web, which you find interesting. Unlike other sites like Pinterest, VisualizeUs is more of visual contents i.e. contents related to Photos and videos where users are allowed to create their own photo collection with their favorite images and videos. VisualizeUs is currently available as a web version and an app which is available on the Apple Store. The best features of VisualizeUs is the shuffle option which lets you see the popular and trending photos every time you come to the home page. Besides that, VisualizeUs has an active user community base which can be leverage for networking and product marketing if used wisely. So these are the top 10 sites like Pinterest which you can consider in case you want to ditch Pinterest for any reason! 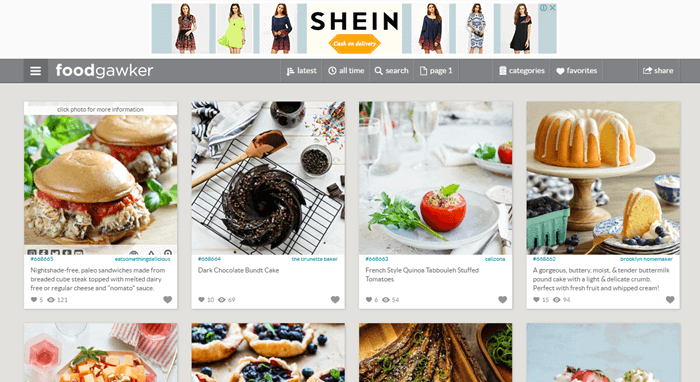 There are several sites like Pinterest in the list which specifically belongs to food lovers, home decorators, classy fashion lovers, for man oriented stuff and others that hold similarities to Pinterest. We hope the list was handy and you found the best Pinterest alternative to explore your favorite content, bookmarking it for future reference and discovering more of the creative and interesting ideas for various purposes. If you found the article useful, don’t forget to share it with your friends, relatives and other needy people on your different social mediums. Also, if you have any queries, doubts or suggestions, feel free to tell us in the comment section below. We will reach out to you as soon as possible. I know few of them but others are completely unknown for my. I’m going to try them. Thanks for sharing them Jyoti.